Cesár Vallejo (Peru, 1892-1938) was one of Latin America's greatest 20th-century poets. He is also considered to be one of the most inaccessible and inexplicable poets of the 20th century. He is even viewed as too obscure and elliptical. I have no issues with that since art has nothing to do with clarity. You can expect clear cut intelligibility from a forensic report but with poetry you have to settle with mere suggestions. It is from one subconscious to an another, through the means of words, symbols and images. Either you like it or you do not. Any fool knows that. "Vallejo’s is a poetry that makes us feel the most intimate fibers of being, that strips us of all that is transient or secondary, and puts us face to face with what is essential inside ourselves: our condition as mortals, the desperate will to reach transcendence, to survive death in one form or another and the thread of extravagancies, mistakes, and confusion that determine our individual fate" wrote Mario Vargas Llosa about his compatriot. The poem "Espergesia" is from his first published book of poems "Los Heraldos Negros" (The Black Heralds), written between 1915-1918.The poem is divided in five stanzas with a handsome refrain: "Yo nací un día que Dios estuvo enfermo" (I was born on a day when God was ill), repeated five times. In short, the stanzas and the refrain are the foundation and the pillars of the text. “…The vocalist as composer must continually find more ways of expressing herself, for needless repetition from project to project to product implies the same message as one given years before. New jungles of sound await and can be heard, and must be realized, whether on tape cassettes initially in bathrooms, or in state-of-the-art studios. Henry James said a tradition is kept alive only by something being added to it and I think that one has to bear that in mind, as one is about to approach this composition by Diamanda Galás (or any work by her for that matter). You do no turn to her for the light touch but for a demanding aesthetic experience extraordinaire. She will go way deep down the well to bring you fresh, sweet water. She will go for the profound. And what does profound mean? I will try to define what I think is profound in music. For me it must surely be linked to my reaction to the music. Simply put, where does it take me and does it offer a transcending reaction? Like counter-point but with the counter-voices resounding within. Profundity in music stretches far beyond the time one is exposed to the music in question. It goes on and on and is the sole reason for me writing this. My criterion of profundity is that I will hear or perceive narratives that make the sum greater than the parts therein. A melody’s structure does not need to be complex (but it helps) - it is how it is as part of the whole that must be interesting, provoking, complex and even emotionally taxing. It will make me curious, it will make want me to learn more; about the piece of music, about the writer of the lyrics, about the tradition to which it belongs and how this particular singer adds something new to that tradition. I read it as a blazing denunciation, Hispano-Greek in mood and expression. Take for instance when she softens her voice a bit on CONTAMINANTE (POLLUTING, CONTAMINATING) and TU, PESTE DE CERDO DIFUNTO (YOU, PLAGUE OF A DECEASED SWINE) as to emphasize the scorn by purely musical means. Maybe there was love once in equal measure to her scorn. Maybe not. The structure of the composition Espergesia is complex and directly related to her different singing approaches and different singing traditions; the Amanes, the Cante Jondo and Western operatic singing. Amenes or Amanédhes is an improvised, stylized lamentation from Asia Minor and the Middle East. A true amanes requires no other lyrics other than the word" aman", sung in a trill of pure lament. Cante Jondo (Andalusian Spanish:"profound song" or "deep song") is the most serious and deeply moving variety of flamenco song. An intensely sad form of cante that deals with themes of death, anguish, despair, or religious sentiments and is usually sung without guitar accompaniment. Operatic vocalization needs no introduction. The overall structure of the work is roughly as I understand it: Aria-Cante Jondo/Amanes-Cante Jondo/Amanes-Multiphonics-Amanes-Aria-Multiphonics-Amanes- Multiphonics-Cante Jondo-Aria. The "sung recitations/incantations" threads the structure of the work together ingeniously. The suggested structure is most certainly a simplification, and the attentive, intelligent listener will find out for him- or herself and discover how her different singing approaches interacts with each other. You'll probably find it taxing. Good. Cozy Americana it is not. Diamanda’s Espergesia will open new doors into a real, beautiful, painful and haunting world of intense sound and emotion. To enter it does take some effort, but the rewards are manifest and plenty. As a listener I find myself being continuously caught in a gravitational centre - between figure and foil (in the language of Gestalt psychology). In the short breaks of silence my perception is bedazzled by an ongoing state of musical suspension. The narratives of Cesár Vallejo and Diamanda Galás unfolds and carries me to the utmost boundaries of my being - a barbed wire twinned of hope and despair, love and fear. It is a moment to treasure. She knows the great exponents of the aforementioned grand singing traditions: a Leontyne Price, a Paquera de Jerez, a Maria Papagika, like the back of her hand and it shows both in vocal style, grandeur and as sources of inspiration. Devil or god in the detail, oh yes, but you will also find Diamanda Galás there, like when she, for instance, sings AMAN (Amanédhes) instead of AY YI YI YI ( in the Cante Jondo). A splendid way to make traditions meet and enrich each other. After all, those traditions actually belong to the same region. With sustained high pure ringing, mercilessly penetrative notes she draws haunting melody lines, all legato. In addition, with a verismo sense of abandon and that without pushing the voice and a technique that supports it. Are the sudden shifts from top to bottom notes within a few seconds, the search of "the black sounds" in the Cante Jondo? Who knows. God? He is too sick to tell. Diamanda is most certainly Avantgarde but also firmly rooted in history and traditions. In terms of the sheer sound that she projects, I perceive, an onomapoetic, vocalized mirror-self to the poem. The vibrant inner life of the text and the projected sonority not only correspond to each other but furthermore, they interlock. Sepulchral, vocal, clear-edged arabesques twist around the pillar:"Yo nací un día que Dios estuvo enfermo". Vallejo is impossible to paraphrase, interpret, or explain, so why bother. Thusly, the text is reproduced and performed sonically. His poetry is either all or nothing. No middle ground. 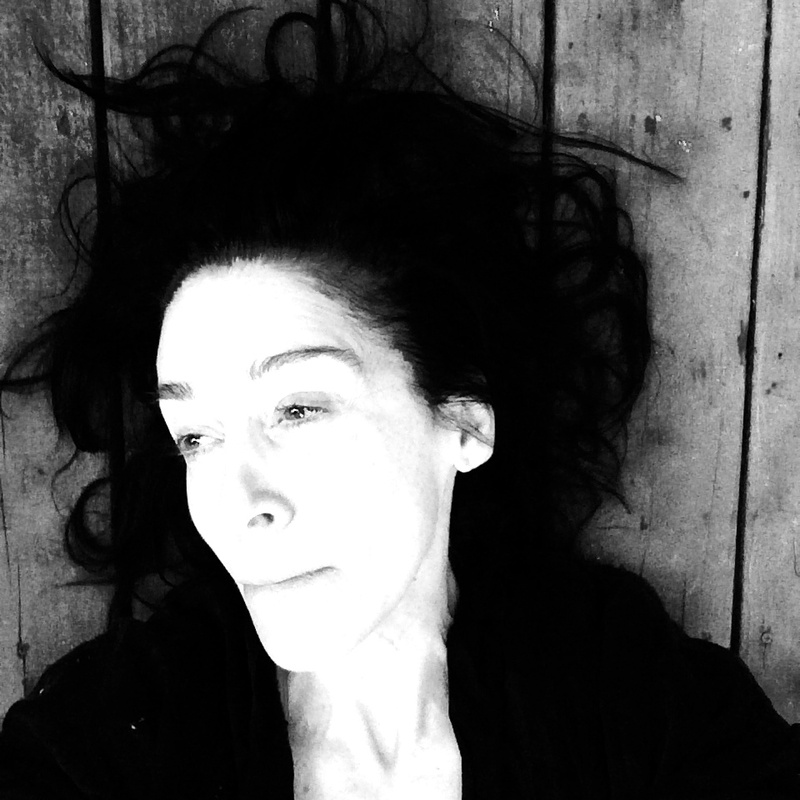 Diamanda discusses her approach to what are called multiphonics in the recording of her work: "To make them I start on what I call the fundamental, usually a high note and then through a combination of focusing the sound in particular skeletal areas, through extreme focus and relaxation, make the additional undertones. However, I have a different approach towards the use of them in that. I like to string them into long melodic lines, sometimes in very unexpected melodies, and in others like ESPERGESIA, part of the melodies I am using to construct this first stage of the work. There is the operatic singing, we might say lyric spinto, there is the multiphonic singing, the improvisation of the amanes, various incantational manners of reading the text, which may be a bit lost in a room with such a long delay, but nonetheless, exist in cadences. Then there is the Cante Jondo, and a kind of Semana Santa singing which weaves around "I was born on a day God was sick". MICHAUX AND MY BLOOD BROTHERS. From a collection of texts titled “In the Mouth of the Crocodile” by Diamanda Galás, presented at the WEAVING POLITICS SYMPOSIUM December 16, 2012 / Stockholm, Sweden. She also digs deep in the Cante Jondo tradition with a scorching rendition of "La Sierra de Armenia".